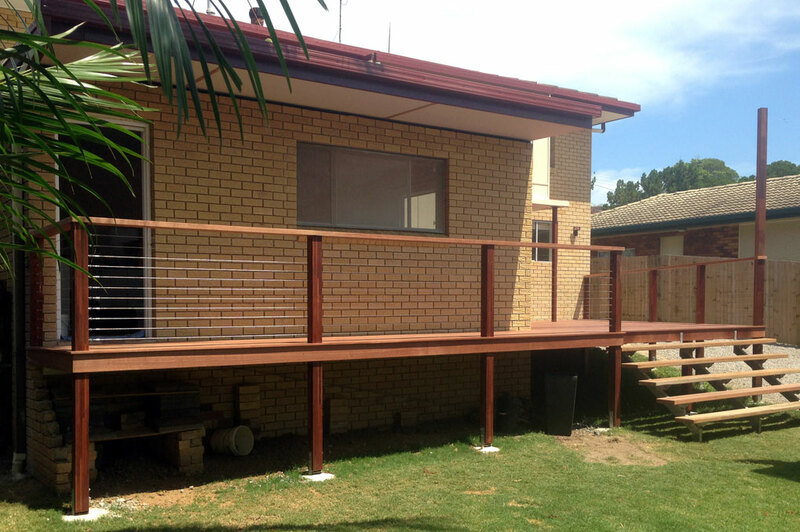 This deck on a house on Clontarf is 45 square meters, made from kwila/merbau hardwood and stainless steel wire balustrading. It was was designed to be open plan therefore the stairs are longer for a more welcoming entrance. 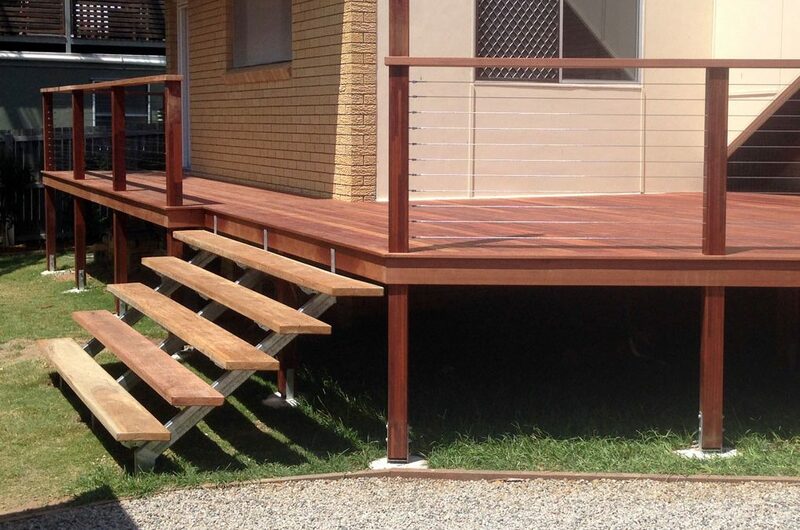 Special feature requested by client – widened decking board for perimeter and fascia (we like these features. 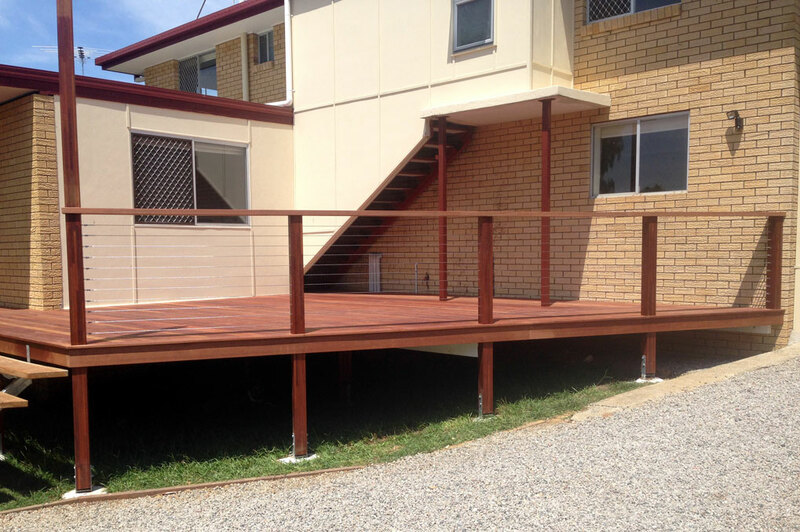 It gives a nice finished edge to the deck and hides the subframe making it more pleasing on the eye) and a widened handrail. We would prefer not to list how long it took as times can vary with changes in weather and delay from suppliers.